With Marquesa’s MQ3 search software you can perform expert trademark searches and create professional search reports for your clients. With an extensive set of search options, MQ3 allows the user to perform powerful and thorough trademark and design searching with ease. The Cloud based software is accessible on almost any internet enabled device. All usage is recorded and backed-up automatically, meaning you will never lose your work; pick up from where you left off no matter your location or device. No need to install, update and maintain the software in-house. Never lose any work due to system or network failure. Look back and revisit searches you’ve done in the past. Marquesa trade mark and design databases are formatted and indexed similarly, so that multiple databases can be searched using any of the available indexes with just one click. The searches are executed in parallel using multiple search engines, to minimise the time spent searching. The results are brought together into a single summary list. 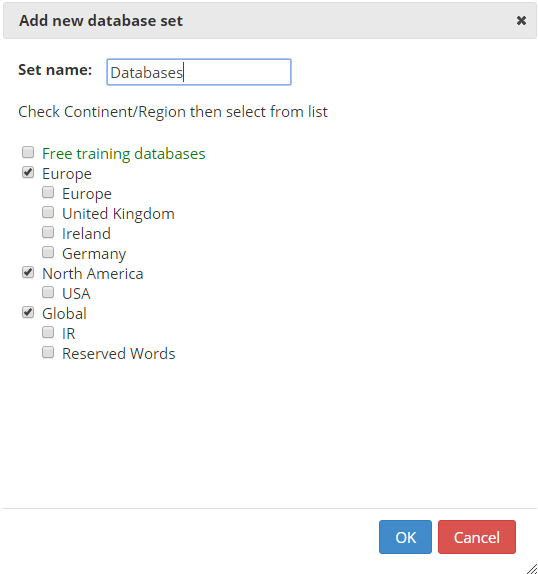 See the databases page for a list of currently available databases. Marquesa processes word mark spelling to accommodate most of the strange formatting found in mark applications, for example ‘A+B&C’ −> ‘&’,’+’,’A’,’AB’,’ABC’,’B’,’BC’,’C’. 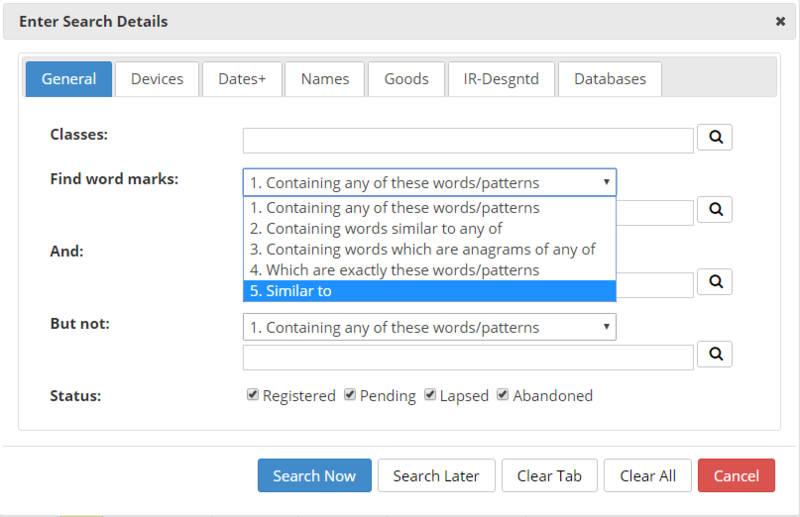 Marquesa also has the unique “word finder” tool, which allows you to find similar words in use without actually executing a search. Device images in Marquesa are coded using the Vienna classification. 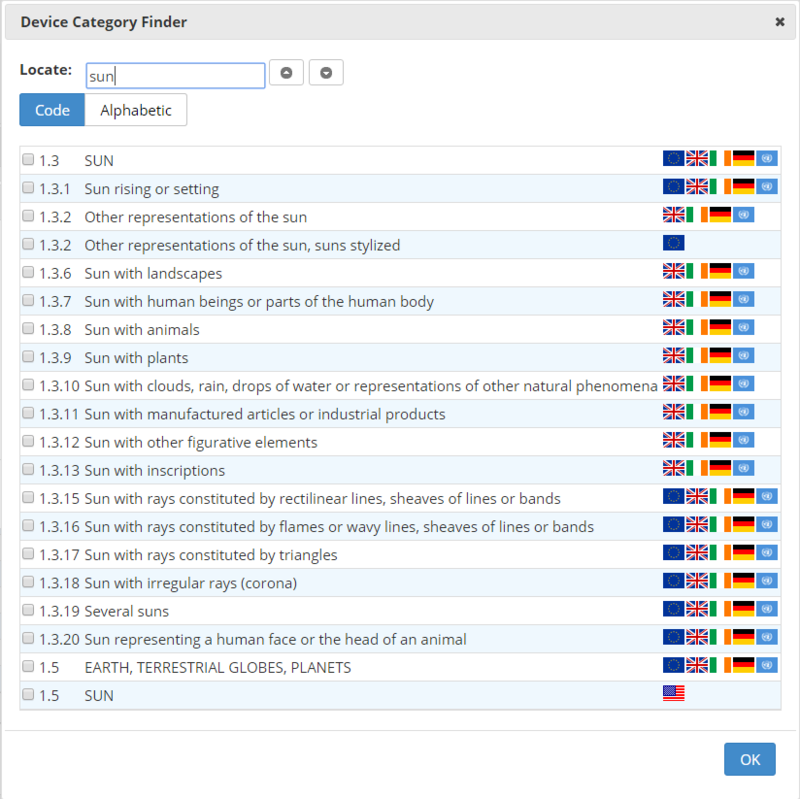 You can search the classification list with our improved Vienna code finder tool, allowing you to easily find images matching any or all of a set of categories. Marquesa’s automatic search design facility builds a simple set of searches appropriate for a pre-application clearance search for a simple wordmark. You enter the word mark, a list of primary and secondary classes, the system then suggests a number of searches in a four section report: (i) identical words in marks found in primary classes, (ii) identical words used in marks found in secondary classes, (iii) pattern matches to marks found in primary classes, and (iv) other similar marks found in primary classes. You can add, delete and change any of the suggestions. You can then execute the searches, view the found marks in each section keeping any relevant to your application, then print or report your results. Most Patent and Trade Mark offices have their own web sites. This allows you to access to the most up-to-date information about any mark directly. To make comparison with the PTO site easy, and for checking trade mark data when you need additional verification, Marquesa allows you to view the web details for any mark from the respective PTO web site with just a mouse click on the Details window. You can even compare their web site data with ours. If you're looking for our previous version of trade mark search software, MqPro, you can find it here.